In 1942, when Bart Berman was four years old, Meir Wiesel was born in Casablanca. Meir's family immigrated to Israel in 1944. However being still geographically separated, Duo 4 decided to start practicing the piano each on his own. They graduated from the Amsterdam and Tel Aviv Music Academies respectively in 1961, both with honors. Soon Berman launched his career, winning the Prize of Excellence and the Friends of the Concertgebouw Award in 1964, and the First Prize at the Gaudeamus competition for interpreters of contemporary music in 1970. Wiesel was not as determined. Following his army service, he turned to mathematics and graduated from the Jerusalem Hebrew University in 1967. But music gained the upper hand: he then graduated from the Juilliard School of Music, and received his Ph.D. in music at the New York City University. Meanwhile, Berman immigrated to Israel, and continued to perform in concert halls and festivals throughout Europe and Israel. Whereas he concentrated on chamber music, especially piano duo with the late Sara Fuxon, with whom he formed the Duo Beer Sheva, Wiesel focused on performing as conductor and pianist throughout the United States and Israel. Berman performed extensively with many orchestras, recorded for several radio stations, and can be heard on various records and CDs. Wiesel emphasized the educational aspects of music making, culminating in his work as the president of the Internationall Jeunesses Musicales and director of the Israeli branch. Finally they met, Duo 4 was established in 1994. Its aim is twofold: to perform original, rare and avant-garde works for one or two pianos, and on the other hand, to prepare special programs for family audiences. 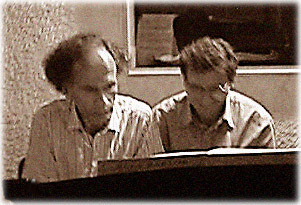 Since, Duo 4 produced a live disc with works by Beethoven, Brahms, Schubert, Clementi and Bizet. Their family program “Three at One Piano”, was performed over thirty times throughout Israel, with different guest piano students at the various locations. This and other programs performed by the duo have been received with great enthousiasm by music-professional, music-loving, young and elder audiences alike. 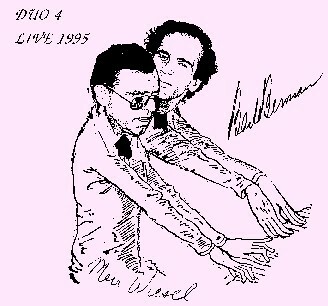 In addition to his excellent pianistic skills, Meir Wiesel's special talents in working with the younger public have added another dimension to the fine tradition of Bart Berman's piano duos. Duo 4 have made their radio debut by performing live for Israel's Voice of Music, with a choice of their repertoire and a new work by Tsippi Fleischer (“Hexaptychon 6”), written especially for them. This composition was also recorded on CD (Opus One) and played at the international ethno-musicology congress in Jerusalem. What's new at the Bart Berman website?